If you are in Houston, contact co-sponsor The Texas Death Penalty Abolition Movement to get on the bus to Austin on Oct 20. Each autumn since 2000, people from all walks of life and all parts of Texas, the U.S. and other countries have taken a day out of their year and gathered in Austin to raise their voices together and loudly express their opposition to the death penalty. 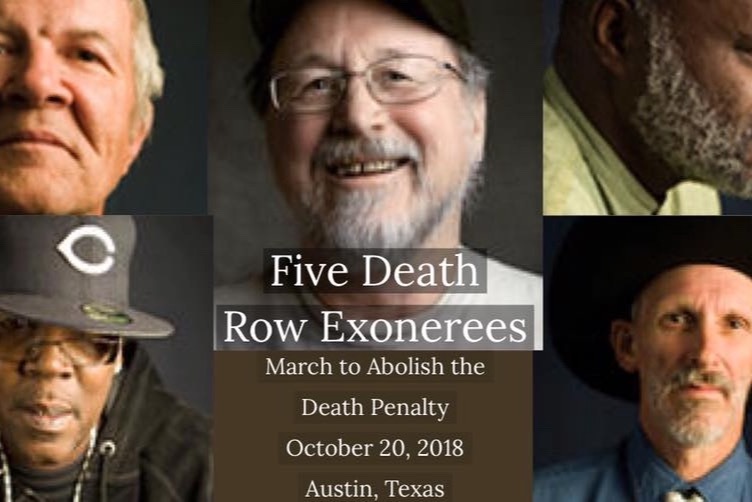 The march is a coming together of activists, family members of those on death row, community leaders, exonerated death row survivors and all those calling for abolition. The annual march is organized as a joint project by several Texas and national anti-death penalty organizations working together.